Sustainability is one of the most important fashion trends present in every aspect of home design today. According to the American Society of Interior Design (ASID), sustainable and eco-friendly interior design continues to rise in popularity, as homeowners display an increasing awareness and concern for the environment. Research also shows that green buildings have a positive impact on the health (mental and physical) of the people who live and work these environments. Going green means using eco-friendly materials, improving indoor air-quality, and making use of natural lighting. The use of recycled, non-toxic and non-polluting products and materials, and an increasing variety of safe and chemical-free products are available for the home furnishings market. In addition, today's home textiles offer a broader use of materials that are produced in a socially responsible manner. Green products now come from sources that promote safe manufacturing processes and socially acceptable business practices. In June, Techtextil North America 2017 in Chicago offered the home fashions market a showcase of sustainable products for interior design applications. Here are some of the featured "green" products. Teijin Frontier Co., Ltd. promoted several products with home furnishings applications, including two sustainable polyester fibers. Teijin Group's Dope Dye Staple Fiber (DDS), is a polyester staple fiber, available in a variety of custom colors, and is produced by mixing colored pigments. DDS is soft, durable, moldable, and possesses excellent color consistency and fastness. Due to the sustainable dope dyeing process, DDS reduces the environmental effect better than traditionally dyed fiber. 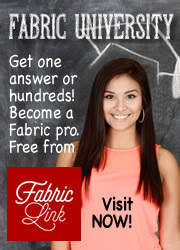 Applications include automotive interiors, and non-woven needle punched carpets. Teijin also promoted its ECOPET® polyester fiber. This is a recycled, staple polyester fiber for spun yarns, which is derived from used polyethylene terephthalate (PET) bottles. ECOPET is made by melting the collected PET, and is produced through material recycling technology. Compared with petroleum-based materials, the production of ECOPET has a 47% reduction in CO2 emissions and a 33% reduction in energy consumption. 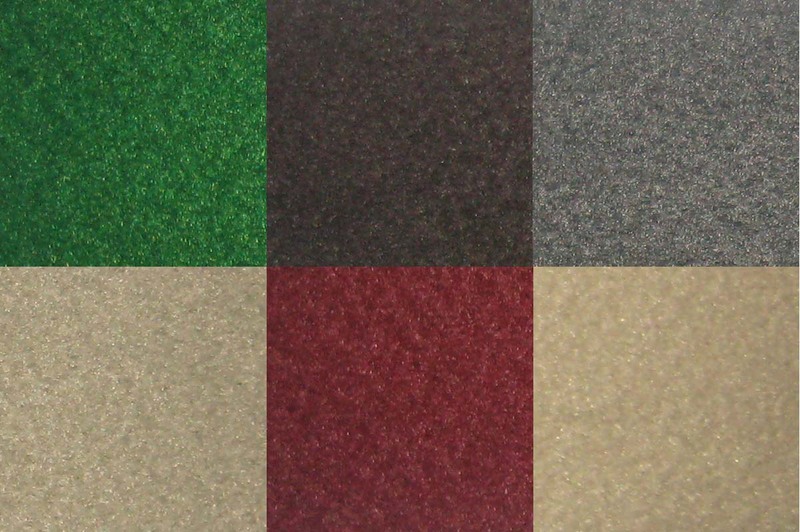 Teijin's ECOPET is used in carpeting and interior textiles for window coverings. 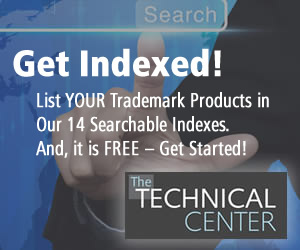 Other applications include tents, banners, filters, and civil engineering materials. Leigh Fibers is a key supplier to the furniture industry and supplies high-quality recycled materials for the automobile, home furnishings, bedding, technical fiber, and casket industries. For home furnishings, Leigh Fibers provides re-processed fibers for batting, waddings, and needled/bonded felts that provide a lower cost alternative to virgin polyester fiber. Leigh Fibers' customers have successfully used the company's re-processed fiber for demanding furniture applications, while meeting its customers' expectations for performance. 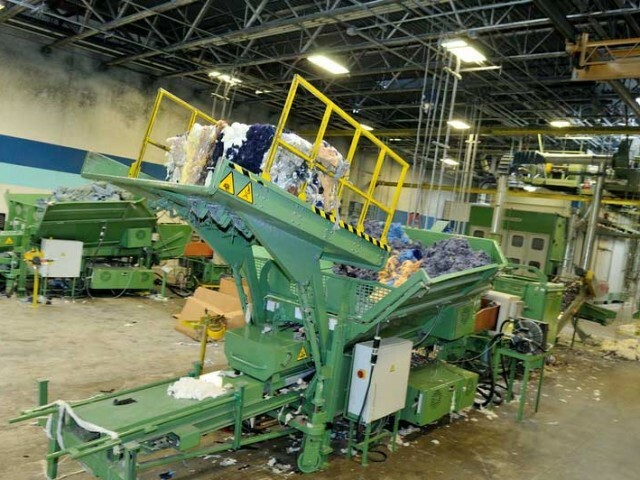 Currently, Leigh Fibers dedicates over 60,000 square feet of processing space to carpet recycling. Working with the most common carpet fibers-Nylon 6, Nylon 6.6, polypropylene, and polyester-the company takes post-industrial and post-consumer waste, separates the face fibers from the carpet backing, sorts the extracted fibers by type, and then turns it back into valuable agglomerate (useable particulate materials). The resulting fiber agglomerate is used to produce products for the home furnishings and construction industries. Through this process, Leigh Fibers is able to supply customers with a more cost-effective raw material, while saving up to 10 million gallons of oil and over 55 thousand tons of greenhouse gases in the process. Sileather™ is a new silicone leather product, produced by Guangzhou Xibo Chemical Technology Co, Ltd. Sileather™ offers a healthy sustainable alternative to existing faux leather products. It is easy to clean, weatherproof, highly durable, and offers inherently flame resistant performance in a fabric that looks and feels like real leather. Sileather™ is designed and engineered to address the growing need for performance fabrics that promote healthier environments. The product is made with no PVC/PU elements; no formaldehyde, phthalates, plasticizers, heavy metals, PFCs, stabilizers or BPA (bisphenol); no flame retardant materials; no anti-bacterial biocides; and is created using an advanced solvent-free production process. 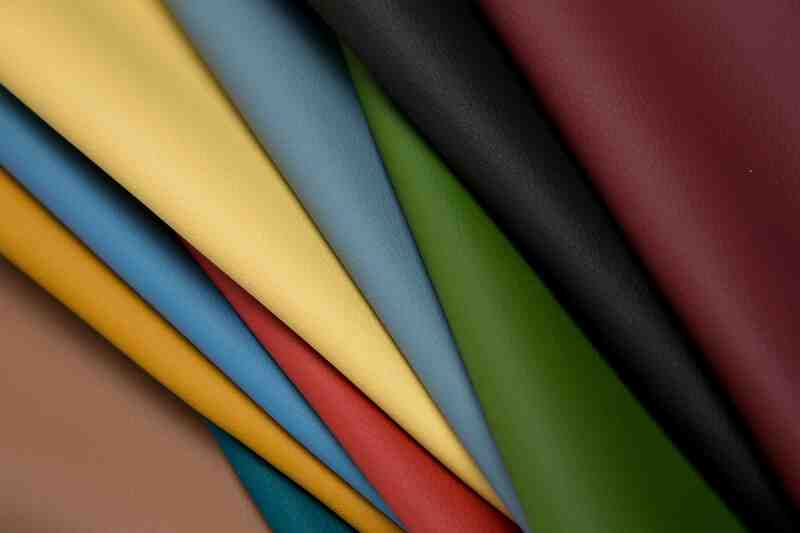 Sileather™ is offered in a variety of textures and colors. It is printable using digital and silk printing techniques, and can be made using non-stretchy, as well as two-way and four-way directional backings. Applications include Hospitality, marine, outdoor/recreational, healthcare, aviation, and public transportation, etc.